The idea was to discover the new desserts coming in the new menu and to taste the unique and amazing Moët & Chandon Millésime 2008. It was a true Bubbly Breakfast. Several journalists and bloggers were invited to this very special occasion. Having these 5 great talents around the table was definitely our most inspiring experience of this year so far. 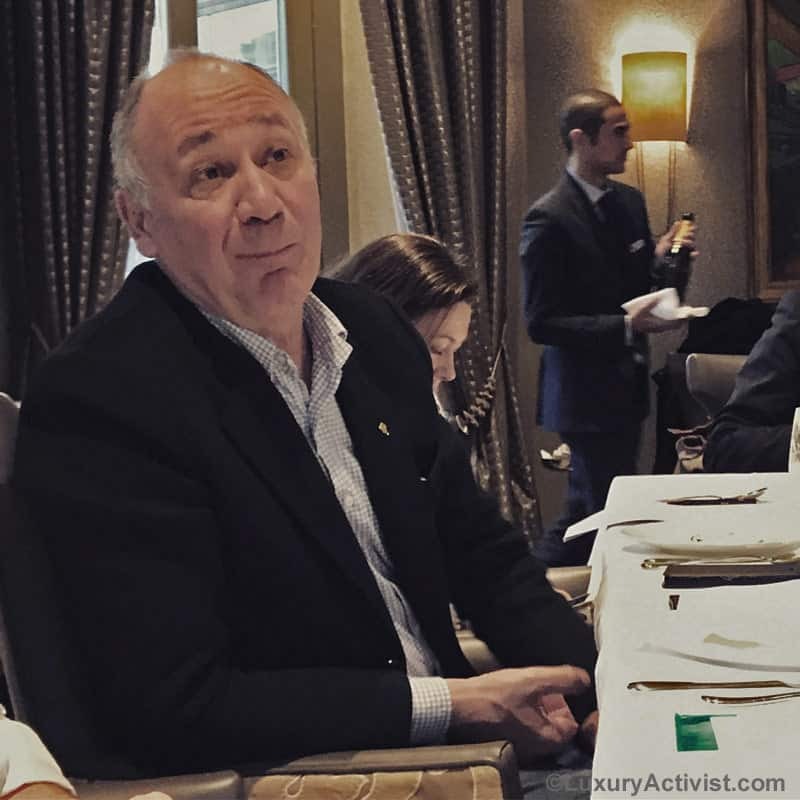 When we hear Mr Benoît Gouez talking about the fine art of champagne wines, we could listen to him for hours. We can see his profound love for the Champagne region and for the true nature of things. Mr Gouez explained that each year the Champagne region suffers from very different weather conditions. This makes the wine very different from one year to another. This means that all champagne houses need to keep great years in order to blend with the following ones. So a champagne wine by definition is what we call in French an “Assemblage”, meaning a blend of several wines from the region. 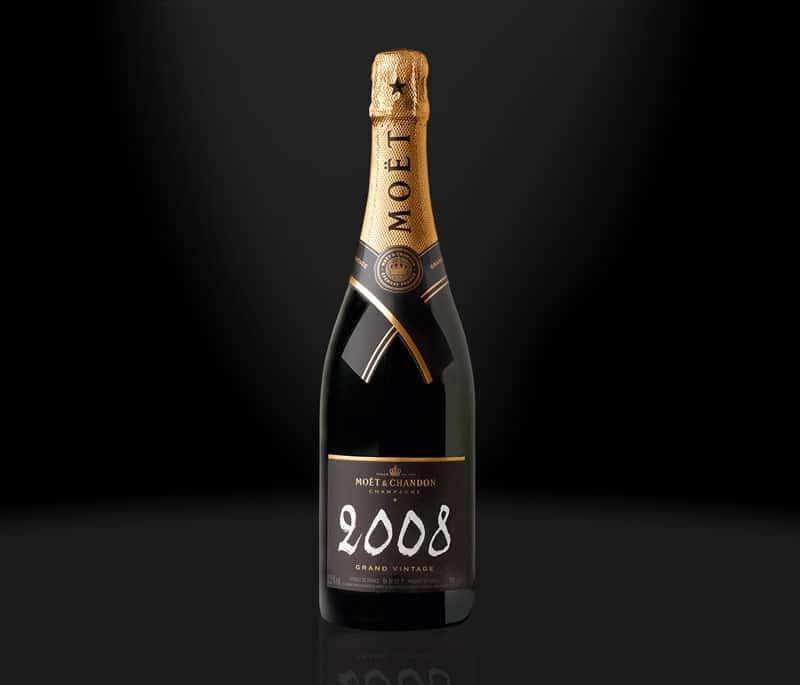 Moët & Chandon has more than 1’000 ha of vineyard and still harvest grapes from more than 100 producers. This flexibility allows to maintain the same quality and character year after year. This annual weather variation allows the Chef de Cave to create special blends, called Millésimes. They are exceptional Champagne wines. In general 90% of total Champagne production are non-millésime wines and 10% are millésimes. 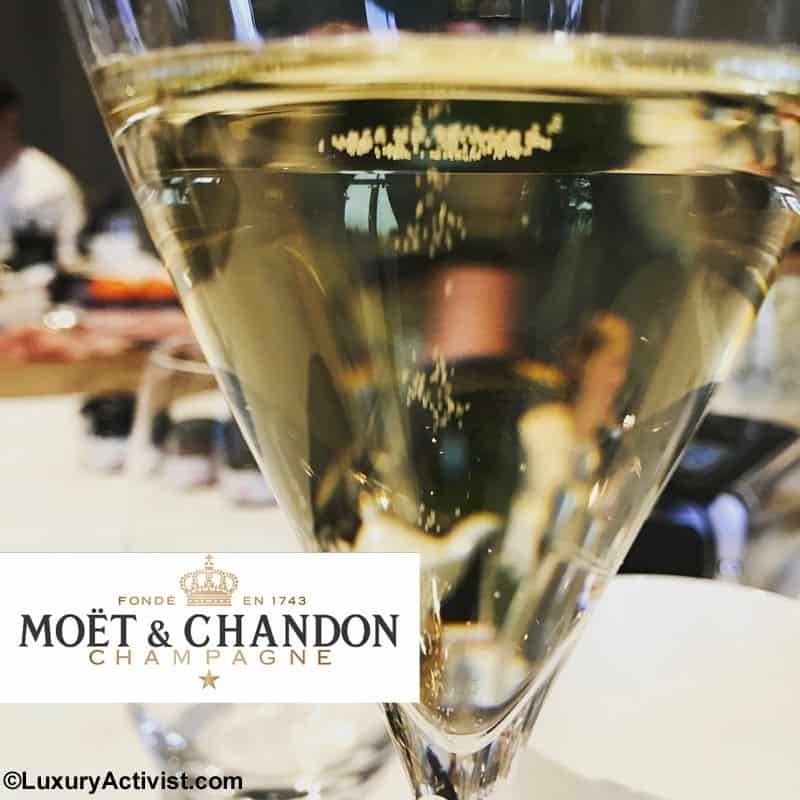 While the non-millésime wines keep the same tasting signature year after year, at Moët & Chandon, they allow themselves to a great creativity approach. Each Millésime is unique and the olfactory and tasting work starts from scratch. When we ask to Mr Gouez about his inspiration to create a new millésime, he has a very thoughtful speech. He speaks about the respect of nature. That a good Chef de Cave should respect the nature of grapes. He says that we do not force nature, we can only guide it. Each Millésime is a new adventure and with a precise know-how, Benoît Gouez understands the new wines, prepares the blends and shapes the assemblage in order to highlight the very best nature has to offer in that precise year. Tasting the new 2008 Millésime was a thrill. In general a Champagne can become a Millésime after 3 years. That is the standards in the wine industry. 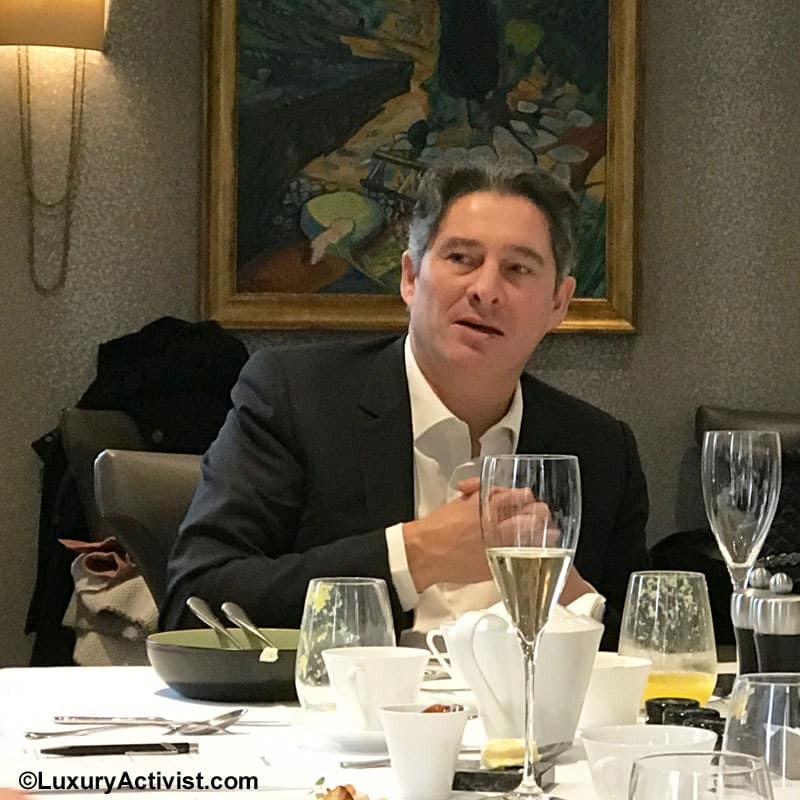 At Moët & Chandon, the average is about 7 years. This allows the chemistry of the precious liquid to blend and to reveal its characteristics in a more sharp way, making each Moët & Chandon Millésime a one in a kind. Some people work in gastronomy and others write the history of Cuisine with golden letters. This is the case of the Haeberlin family. Around the table today there was Marc Haeberlin. 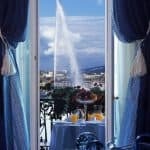 He is a true legend in European gastronomy and he partners with the Lausanne Royal Savoy as a Signature Chef. He is the fourth generation of Chefs in his family. When you ask who was the biggest influence that gave him this passion, he will say that he got it from his father. He likes to recreate family recipes and recreate some specials from his father. He loves good quality and authentic products. He enjoys playing with the precise balance between tradition and modernity. Each creation, each dish, each meal should reflects a good cuisine and something that people could relate to. If it is complex, it means it is complicated. Marc Haeberlin has a very humble approach. A Chef should highlight products produced by farmers. Not more. He is also profoundly attached to Terroir, meaning the feeling of belonging to a place, an origin and a know-how. He loves Switzerland. Marc Haeberlin collaboration with the Lausanne Royal Savoy is a very interesting style exercice. 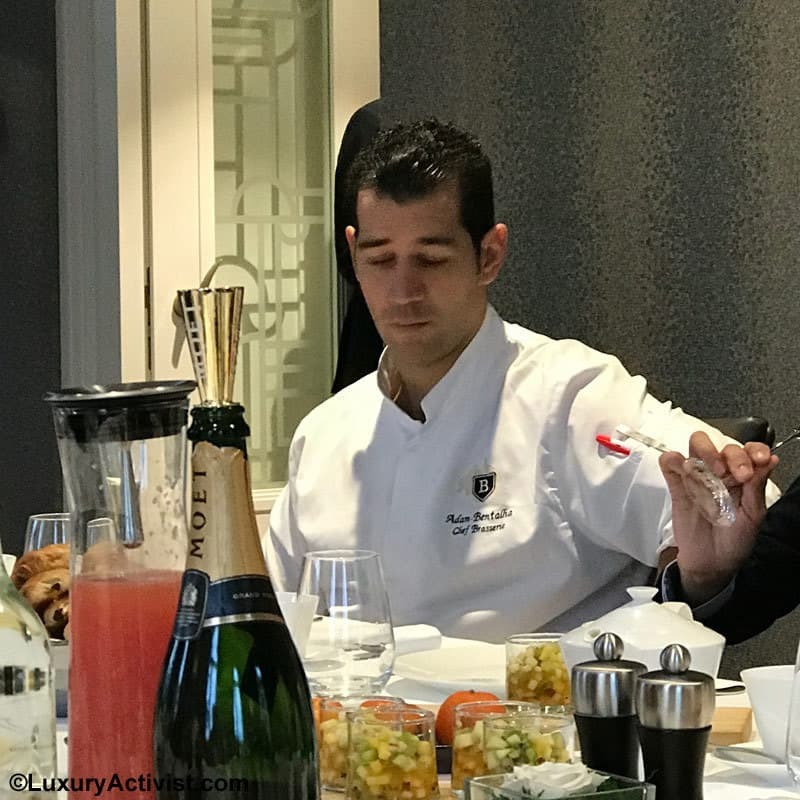 Bringing his charisma and know-how and yet respecting the Royal’s cuisine signature is a great exercice for a Chef as Mr Haeberlin. Originally from Alsace region, Julien Krauss started his career among the stars of gastronomy. First at the Vieux Couvent in Alsace, then at the Auberge de la Charme in Dijon and then from 2006 to 2008 at the Auberge de l’Ill in Illhaeusern, the restaurant of the Haeberlin family. All these restaurants have stars in the famous Michelin guide. Julien Krauss learned the love for good quality ingredients, play with seasons and origins and above all, the respect of the customer. His approach of Cuisine is very client focus. He will not hesitate to change the way things are done if he believes will procure a good benefit for the experience customers would have. When we asked about the collaboration with Marc Haeberlin, he explained that he and his team prepare new ideas for the incoming menu and submit them to Marc Haeberlin judgement and collaboration. 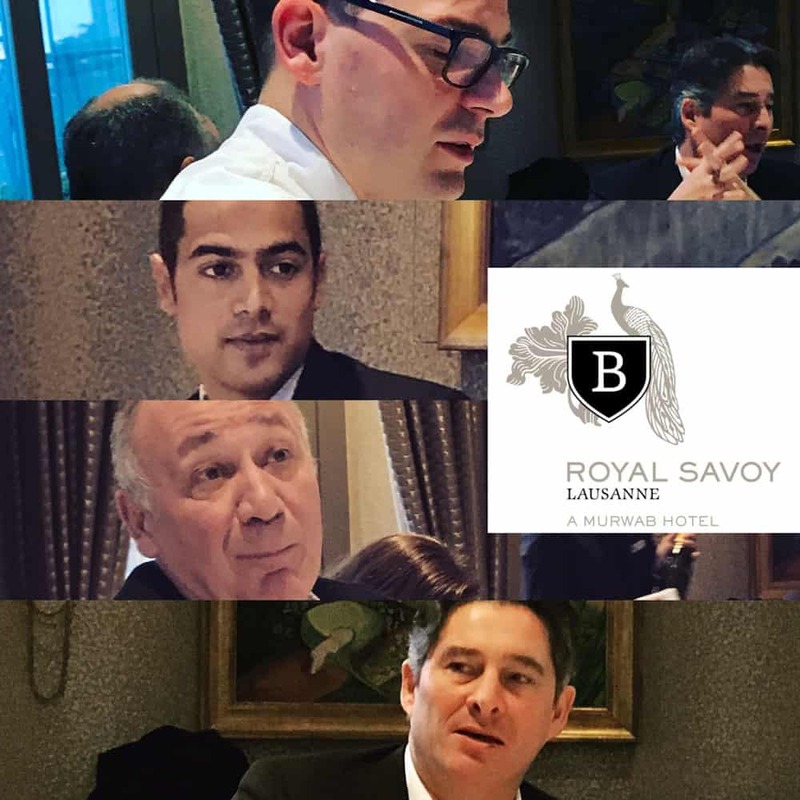 There is a very constructive discussion in which the main goal is to support and respect the Royal Savoy’s signature. In parallel of the menu, customers can of course taste family recipes from Mr Haeberlin like the Haeberlin Peach. 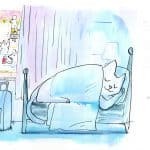 Mr Krauss, by his experience back in the time he used to work at the Auberge de l’Ill, can execute perfectly these recipes. The Lausanne Royal Savoy has a dream team in the kitchen. Adam Bentalha also has an amazing parcour. When we look to his career so far he shaped his cuisine in some of the best places around the world. 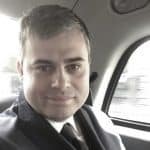 The luxury hotel and restaurant is something he understands as he previously worked for the luxury palaces in Paris The Ritz, the Shangri-la and the Royal Monceau. Moving to the prestigious Royal Savoy is a logical move to his career where he has been working for since 2015. By listening to him we can see he loves cuisine and the quest for the perfect gesture. He is very dedicated and responsable for what he does. 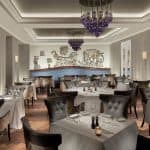 Adam Bentalha works hand in hand with Julien Krauss in order to create a beautiful cuisine and hope that customers will be delighted. You cannot have a great gastronomic meal without a great wine. If the Chef is a key person, the Sommelier will highlight the work of a Chef. 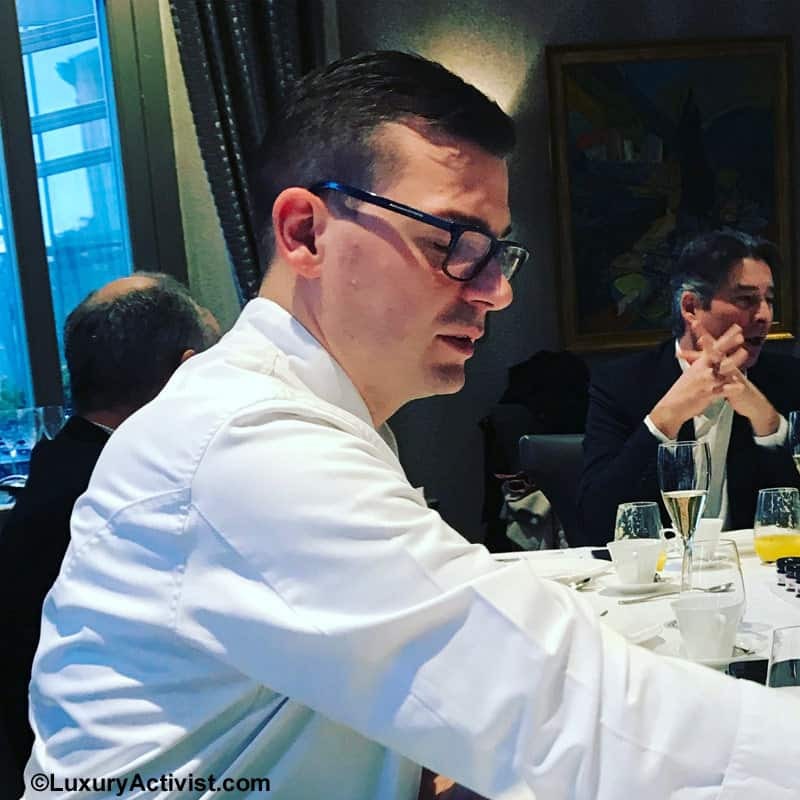 At the Lausanne Royal Savoy, the Sommelier is by far a strong reference in Switzerland, Elected as the best sommelier in Switzerland in 2016, Reza Nahaboo is a very talented man. His great knowledge and his modest personality make him a fascinating person. He will pay attention to his customers tastes, desires and reactions in order to match the perfect wine to the perfect meal. Reza Nahaboo is young and yet has already a great parcours. 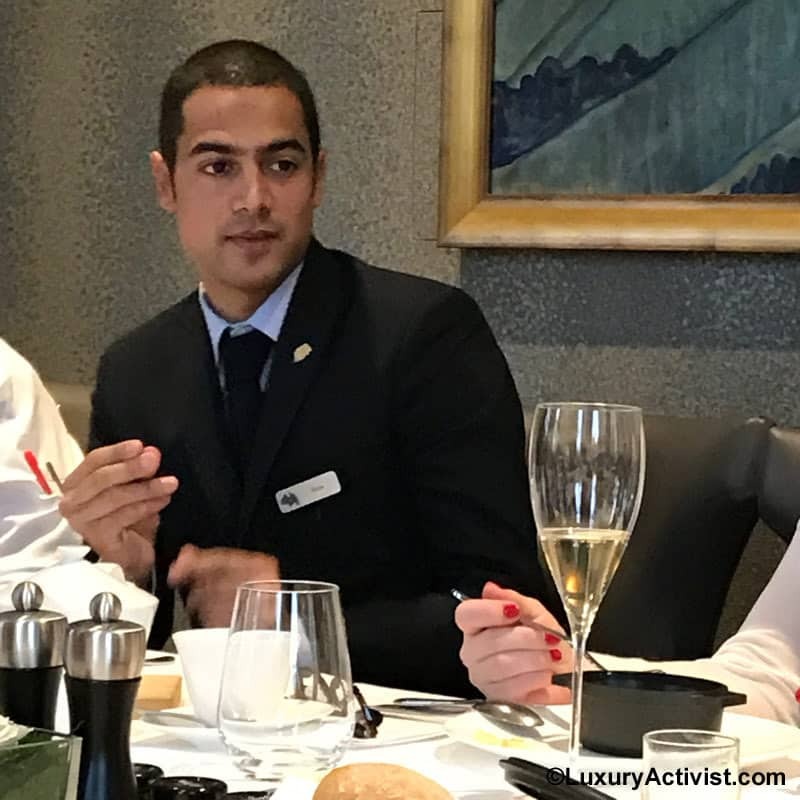 After great positions as Sommelier at the Four Seasons in Geneva or at the Hostellerie du Pas de L’ours in Cran-Montana, Reza Nahaboo joined the Lausanne Royal Savoy in June 2015. In 2016 he received the prestigious prize of Best Sommelier in Switzerland. His knowledge allows him to build a cave made of great legendary bottle names as well as specials, local wines and regular wines. Each reference will be picked up with great care and will constitute his playground to build the best companion to your meal. This breakfast session was very inspiring. So many talents gathered around the same table was a promise of great discussions. Switzerland gathers amazing talents and it is all for the best. Info sourced at the event. All content is copyrighted with no reproduction rights available. Images are for illustration purposes only.